Tooth extractions in St Clair Shores may be necessary when a tooth is loose or infected and causing severe pain. Our pain management techniques and advances in anesthesia have made dental extractions comfortable and almost painless. After this procedure, be sure to rest and follow the doctor’s orders. You can use a cold compress to keep down swelling and reduce pain. Also, limit yourself to soft foods for the next couple days after surgery. Avoid drinking from a straw and smoking to prevent dry sockets. When removing a tooth, it is important to consider what will be done with the empty space after that tooth is removed. If nothing is done with the extraction site, the jaw bone will degenerate and change shape during the healing process. A dental implant can be used to fill in the empty space or a dental bridge can be fabricated and placed. A removable partial denture can also be made before the teeth shift. We will discuss your treatment plan thoroughly with you to inform you of every step of the process. We will make sure to schedule follow up appointments with our dentists to ensure proper care for your extraction site. For more information on tooth extraction in St Clair Shores, contact us. Our experienced doctors and team utilize the latest dental technology for the most accurate diagnosis and treatment. 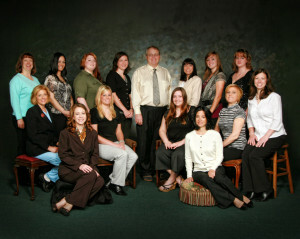 To learn more about our dentists in St Clair Shores and team, visit our About Us page.